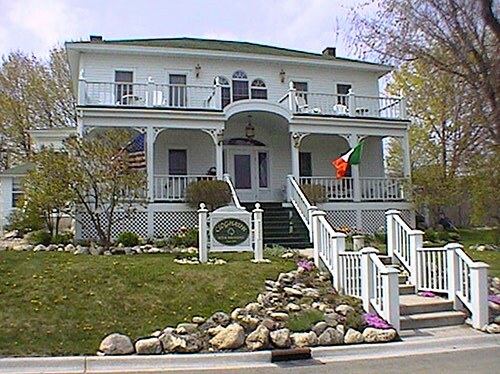 The Thomas Room (Room 1) and the Bridget Room (Room 2) – both with spacious balconies (see above) – are top choices for rooms with views at Cloghaun Bed and Breakfast. The balconies of both rooms offer commanding views of the horse carriages and bicycles and pedestrians passing below on Market Street. 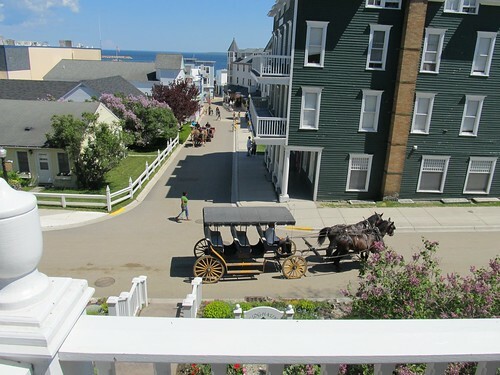 You also get a clear look at the happenings on Hoban Street, as well as a view of the Straits of Mackinac in the distance. 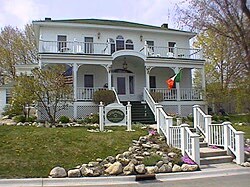 The Cloghaun Bed and Breakfast is also a great place to stay if you want to awaken on Mackinac Island to the clip-clop of horse carriages outside your window. 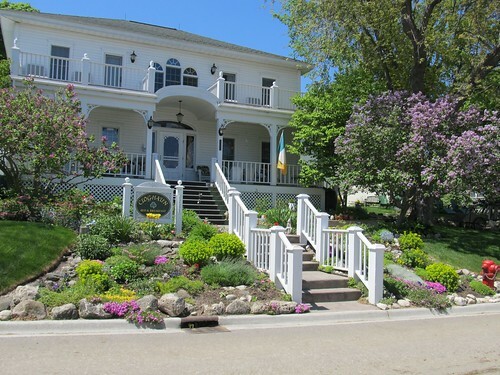 Noteworthy: All guests of this historic inn can enjoy quality relaxation time on the front porch of the Cloghaun Bed and Breakfast and be treated to the same great views of Mackinac Island.